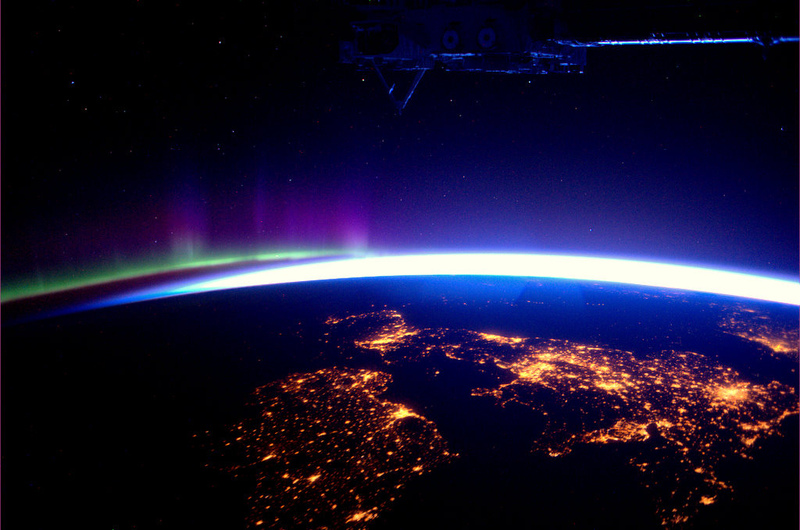 God’s-eye view of the earth? André Kuipers is a Dutch member of the team on the amazingly resilient International Space Station which is in… well, …. space I guess. While up there he has been taking some pictures out the window, as you do. Seeing them, I felt for the first time a desire to go into space. I am sure the pictures do not begin to convey the feeling one must have up there, with a God’s-eye view of the earth (if one may adopt the old and discredited cosmology of God being ‘up-there’). Down here I cannot help but wonder that in the midst of this vast and wonderful universe God has placed us, and sent his Son to live our life and die our death, and to rise anew for us and for our salvation. As the Psalmist says, “What is man that you should care for him, mortal man that you should keep him in mind?” (Psalms 8:4 & 144:3). I attach just a small sample of his shots, which will get a little bigger of you click them. The first is of Ireland and Britain with the green hues of the northern lights in the background, taken on 28 March this year. 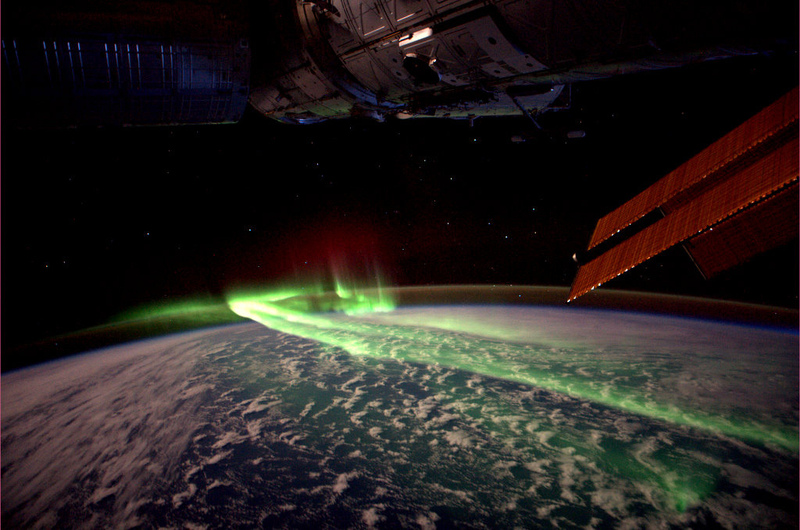 Next is a shot from 10 March this year of the southern lights over the Southern Ocean between Antarctica and Australia. 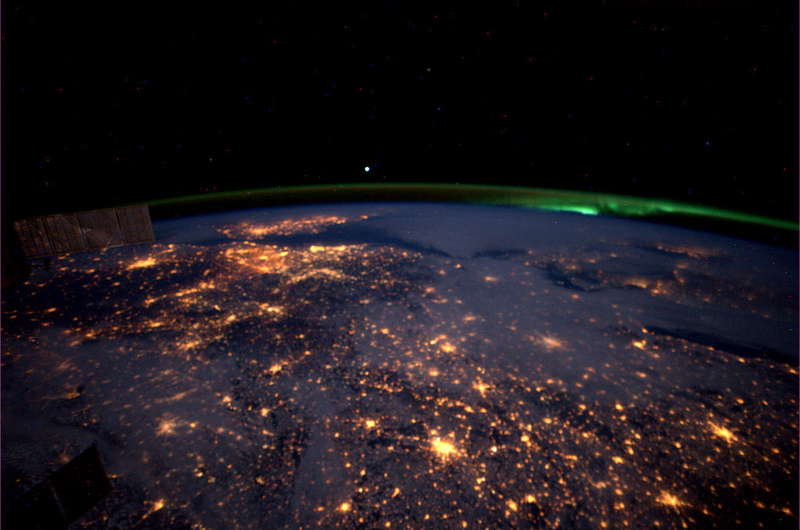 Another shot of Europe by night, this time on 11 February looking over Germany towards Holland and Belgium, with Britain in the distance and Denmark off to the right. Again there is the green of the northern lights. 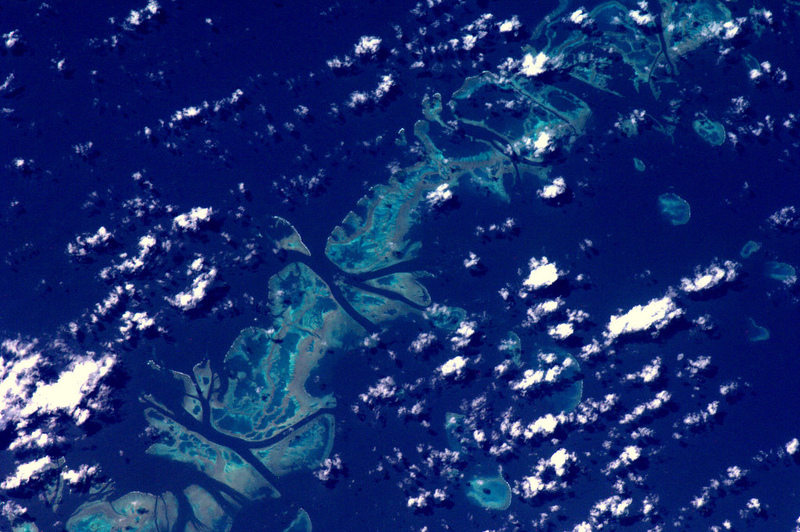 Lastly there is a shot from 29 March of the Great Barrier Reef, off the coast of Queensland (Australia). These are incredible! He has done a wonderful job hasnt He! I do have a request though padre. I say the office daily, but I particularly look forward to Holy Saturday purely for the fact that the reading it has is the one taken from an ancient homily. I think it is incredible. The type of words that makes the hair on your neck stand on end. So what I am asking is that I would love it if you blogged on Holy Saturday, would you please do it about the reading? Ahoy Ferg! Indeed, He has done a wonderful job. And a blessed Triduum to you, by the way. Good point. Let’s call it a “God’s eye glance” then!